Annals of Ayurvedic Medicine. 2014; 3(1): 36-41. Online Journal of Otolaryngology. 2015; 5(3): 8-15. Sirenomelia Sequence (Mermaid Syndrome) - A Rare Case. International Journal of Health Sciences and Research (IJHSR). 2013; 3(4): 127-130. Journal of Research and Education in Indian Medicine (Estt.1982). 2010; 16(1): 1-5. Hepatic Metastasis of Squamous Cell Carcinoma of Cervix. International Journal of Health Sciences and Research (IJHSR). 2015; 5(11): 427-429. Diagnosis of Gouty Tophi on Fine Needle Aspiration in a Clinically Unsuspected Case. International Journal of Health Sciences and Research (IJHSR). 2014; 4(12): 379-382. Small Dense Low-Density Lipoprotein Cholesterol - The Atherogenic Molecule. International Journal of Health Sciences and Research (IJHSR). 2015; 5(6): 598-607. Idiopathic Granulomatous Mastitis: A Clinicopathological Review of a Rare Case. International Journal of Health Sciences and Research (IJHSR). 2015; 5(5): 543-546. A Rare Case of Epidermal Cyst of the Submandibular Gland. International Journal of Health Sciences and Research (IJHSR). 2016; 6(6): 434-436. Atypical Chronic Myeloid Leukemia – A Rare Clinical Entity. International Journal of Health Sciences and Research (IJHSR). 2015; 5(10): 393-395. National Journal of Integrated Research in Medicine. 2014; 5(1): 6-9. National Journal of Medical Research. 2012; 2(3): 318-321. Microbes-Gut-Brain Axis: A Possible Future Therapeutics Target for Gastrointestinal and Behavioral Disorder. International Journal of Health Sciences and Research (IJHSR). 2015; 5(1): 321-329. National Journal of Integrated Research in Medicine. 2012; 3(4): 76-79. Neuromuscular Hamartoma in an Adult Male Patient: A Case Report. International Journal of Health Sciences and Research (IJHSR). 2012; 2(9): 87-92.
International Journal of Health Sciences and Research (IJHSR). 2012; 1(2): 101-108.
International Journal of Reproduction, Contraception, Obstetrics and Gynecology. 2015; 4(3): 780-784.
International Journal of Current Research and Review. 2015; 7(21): 33-40.
International Journal of Reproduction, Contraception, Obstetrics and Gynecology. 2016; 5(2): 579-581.
International Journal of Contemporary Pediatrics. 2015; 2(3): 227-232.
International Journal of Reproduction, Contraception, Obstetrics and Gynecology. 2016; 5(7): 2224-2227. Mixed Medullary and Mucinous Carcinoma of Breast - A Very Rare Case Report. International Journal of Health Sciences and Research (IJHSR). 2016; 6(2): 414-418. Cutaneous Tuberculosis- A Case Report. International Journal of Health Sciences and Research (IJHSR). 2015; 5(10): 381-384. National Journal of Integrated Research in Medicine. 2012; 3(1): 119-124.
International Journal of Research in Medical Sciences. 2014; 2(4): 1431-1437.
International Journal of Reproduction, Contraception, Obstetrics and Gynecology. 2014; 3(3): 724-727.
International Journal of Reproduction, Contraception, Obstetrics and Gynecology. 2015; 4(5): 1577-1580.
International Journal of Reproduction, Contraception, Obstetrics and Gynecology. 2016; 5(6): 1897-1901.
International Journal of Reproduction, Contraception, Obstetrics and Gynecology. 2016; 5(6): 1820-1822.
International Journal of Community Medicine and Public Health. 2015; 2(4): 501-505.
International Journal of Reproduction, Contraception, Obstetrics and Gynecology. 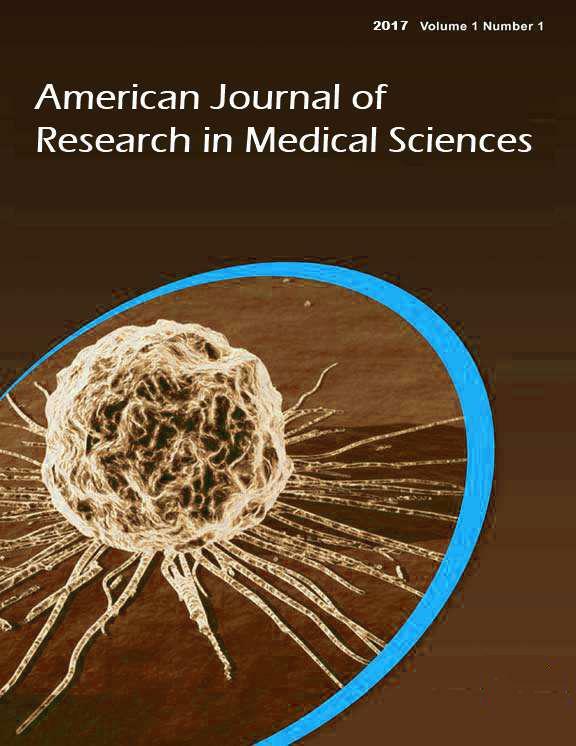 2016; 5(11): 3815-3819.
International Journal of Research in Medical Sciences. 2015; 3(3): 551-555.
International Journal of Reproduction, Contraception, Obstetrics and Gynecology. 2016; 5(6): 1870-1873.
International Journal of Reproduction, Contraception, Obstetrics and Gynecology. 2016; 5(2): 456-459.
International Journal of Reproduction, Contraception, Obstetrics and Gynecology. 2016; 5(3): 770-774.
International Journal of Reproduction, Contraception, Obstetrics and Gynecology. 2016; 5(8): 2648-2651.
International Journal of Reproduction, Contraception, Obstetrics and Gynecology. 2013; 2(4): 689-690. Interpreting Liver Function Test in HIV-HBV Coinfection. National Journal of Medical Research. 2013; 3(4): 342-345.
International Journal of Medical Science and Public Health. 2015; 4(6): 745-750. National Journal of Medical Research. 2013; 3(2): 159-161. National Journal of Medical Research. 2013; 3(2): 177-180.
International Journal of Livestock Research. 2017; 7(3): 175-180. National Journal of Medical Research. 2014; 4(1): 82-86.
International Journal of Reproduction, Contraception, Obstetrics and Gynecology. 2015; 4(3): 814-819. Progress in Medical Sciences. 2017; 1(1): 19-23.
International Journal of Livestock Research. 2018; 8(7): 182-191.
International Journal of Surgery and Medicine. 2017; 3(2): 85-89.
International Journal of Reproduction, Contraception, Obstetrics and Gynecology. 2016; 5(7): 2250-2253. National Journal of Physiology, Pharmacy and Pharmacology. 2012; 2(1): 29-32.
International Journal of Livestock Research. 2019; 9(1): 216-219. National Journal of Physiology, Pharmacy and Pharmacology. 2017; 7(4): 412-415.
International Journal of Livestock Research. 2019; 9(3): 225-232. National Journal of Medical Research. 2015; 5(2): 163-165.